Groupe Logement Français is one of the primary players of social housing in France. It brings together seven Social housing companies (ESH) and Economic Interest Groups (GIE). Primarily implanted in the Île-de-France, Provence-Alpes-Côte d’Azur and Rhône-Alpes regions, the group offers its cumulated expertise and understanding of the local fabric and specialized expertise to local government bodies to help them define and implement their housing policies. Every day, In the context of their real-estate prospective activities, Groupe Logement Français employees build relationships with a variety of actors, especially city councils. 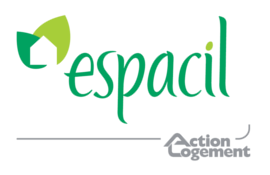 The Groupe Logement Français chose E-DEAL CRM suite to unify, structure and guide its relationship with its local partners. Thanks to E-DEAL CRM, users can fill in and share information, and then capitalize on this information to produce summaries, dashboards and reports. The software also lets them index files (scanned documents, PDF, etc. ), and can be interfaced with Exchange for calendars and messaging.